Michael D. Fetters, M.D., M.P.H., M.A., is a family medicine researcher and professor in the Department of Family Medicine at the University of Michigan in Ann Arbor, Michigan. Dr. Fetters serves as the principal investigator (PI) on the Shizuoka-University of Michigan Advanced Residency Training, Education and Research in Family Medicine (SMARTER Family Medicine) Project. He has personal ties to Shizuoka as he lived in there as a high school exchange student from 1978-79. Academically, Dr. Fetters has a longstanding interest in US-Japan comparisons in medical ethics, medical education, family medicine, and on the influence of culture on medical decision making. He also serves as methodologist in the rapidly evolving field of mixed methods research and has conducted multiple mixed methods research workshops. Bilingual in Japanese and English, Dr. Fetters founded and directs the University of Michigan Japanese Family Health Program. He has authored over 140 scholarly articles, chapters, and editorials. He serves as Associate Editor of Medical Studies, Journal of Mixed Methods Research.  Information about the Japanese Family Health Program and U-M Department of Family Medicine can be found at http://www.med.umich.edu/jfhp and http://www.med.umich.edu/fammed, respectively. 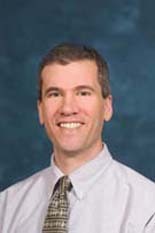 Eric P. Skye, M.D., is an associate professor of family medicine and the associate chair for educational programs in the U-M Department of Family Medicine, and currently serves as the Co-Principal Investigator (Co-PI) in the SMARTER Family Medicine Project. Dr. Skye has extensive experience in program and curricular development as well as in faculty development. Extending from his experience as a prior residency program director, Dr. Skye works with the American Academy of Family Physicians as an educational consultant with the academy's Residency Program Solutions organization. In addition to his work in Japan, he also works internationally in program and faculty development with ongoing programs in Ghana. Dr. Skye's scholarly activities in program and curricular design have involved all levels of the medical education spectrum. Presentations of his work have included a needs assessment and faculty development program for improved medical student precepting, designing curriculum in residency and fellowship programs and implementing innovations in assessment and web based curriculum. He has also worked in developing his department's continuing medical education programs with efforts in assessing new methods of evaluation to assess program effectiveness. Philip Zazove, M.D. graduated from Northwestern University, and received his M.D. from Washington University. He completed his residency training in family medicine at the University of Utah Hospitals. He is now Professor and Chair of Family Medicine at the University of Michigan, and has been active in clinical, educational, research and outreach activities. His main area of research focus has been health services for deaf and hard of hearing individuals, and he has published extensively in this arena as well as obtained grant funding. He also serves on national boards and committees related to this topic, including serving as the current Vice President of the International Group Association of Medical Professionals with Hearing Loss, and serves on the Advisory Board for the National Center for Deaf Health Research. 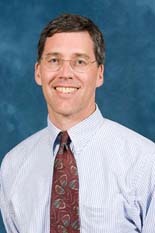 James E. Aikens, Ph.D., is an associate professor of family medicine at the University of Michigan, and a practicing clinical psychologist atBriarwood Family Medicine where he provides short-term psychological intervention for adults with common anxiety and/or depressive symptoms. His research concerns chronic illness self-management, co-morbid depression and chronic medical illness, adherence to long term medical regimens, and patient perspectives about depression treatments. Dr. Aikens has authored over 55 research articles and has directed or collaborated on several grant-funded research studies. He is a member of the North American Primary Care Research Group, Society of Behavioral Medicine, and American Psychological Association. 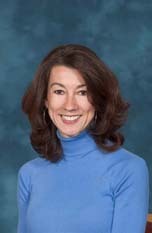 Micheleen S. Hashikawa, M.D., is a lecturer in the U-M Department of Family Medicine at the University of Michigan. During her residency, Dr. Hashikawa had the opportunity to travel to one of Japan's first few family medicine residency programs in Shizuoka, Japan, where she worked alongside Japanese residents. This visit inspired her interest in family medicine in Japan, and upon completion of her residency training, she joined the U-M Family Medicine Department as a clinical instructor. In 2011 Dr. Hashikawa traveled with U-M faculty to Japan and contributed to the educational activities in the SFM Training Program independently of the SMARTER Project. Besides her primary work as a family medicine physician, she works as a member of obstetrics and newborn care team. Among her patients are Japanese workers and their families, and she treats them in Japanese. As a project, Dr. Hashikawa is also working on disaster preparedness and management from a family medicine physician's standpoint, and would like to contribute her services to the community in this area. Sahoko Hirano Little, M.D., Ph.D., is an assistant professor and has been with the Department of Family Medicine at the University of Michigan since 2008, where she teaches medical students and residents. 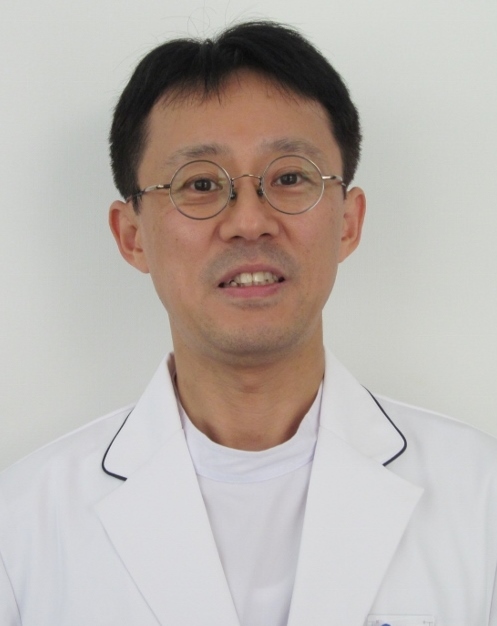 A graduate of Keio Gijuku Daigaku Medical School, Dr. Little served as chief resident at Plastic Surgery Residency, before proceeding to spend a total of three years as a Plastic Surgery Staff Physician at Tokyo Saiseikai Hospital. She also spent five years in basic research related to wound healing and obtained Ph.D. in 2005. 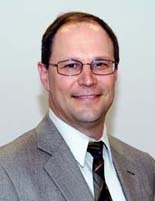 In 2001 Dr. Little moved to the United States and completed a Family Medicine Residency at Oakwood Annapolis Family Medicine Residency in Michigan in 2008, and has been board certified by American Board of Family Medicine since 2008. She treats patients of all ages, including pregnant women, pediatric, adult and geriatric population, with emphasis on women's health, office based surgical procedures, and pregnancy care including inpatient obstetrics. She also sees chronic wound patients at the plastic surgery clinic once a week, which will be a part of new wound care center. Karl T. Rew, M.D., is an assistant professor with a joint appointment in the Departments of Urology and Family Medicine at the University of Michigan. Dr. Rew provides newborn, pediatric, adolescent, adult male and female, geriatric, and preventive care for all age groups. He has an interest in men's health and urology. As part of the Japanese Family Health Program team, Dr. Rew sees patients at the U-M Family Medicine health center at Domino's Farms in Ann Arbor. 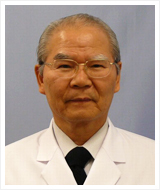 A fluent Japanese speaker, Dr. Rew integrates his bilingual clinical practice with training students and physicians. He also teaches family medicine residents at the U-M Chelsea Family Medicine health center. He enjoys medical editing, and he serves as Assistant Medical Editor for FP Essentials, a monthly CME publication of the American Academy of Family Physicians. Pamela G. Rockwell, D.O., is an assistant professor in the U-M Department of Family Medicine, and currently serves as medical director of University of Michigan Health System Domino's Farms Family Medicine health center, a practice which sees patients in the full spectrum of family medicine, trains medical students, sports medicine fellows, a woman's health fellow and is home to the Japanese Family Health Initiative. She is one of the primary faculty members in the Department involved with predoctoral (medical student) education, lecturing to the third year medical students monthly. Moreover, she is involved with resident education, serving as a preceptor in the outpatient setting for the family medicine residents and attending on the Inpatient University Family Medicine internal medicine service. In addition to an interest in preventive health care and family medicine, she has a clinical focus in women's health. Dr. Rockwell is currently a fellow in vaccine science, serving a one-year fellowship awarded by the American Academy of Family Physicians. 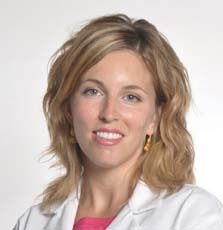 Casandra Cashman, M.D., was a Clinical Lecturer in the Department of Family Medicine at the University of Michigan, as well as a Women's Health Fellow in the Department of Obstetrics & Gynecology in 2012-2013. While finishing prerequisite courses to apply for medical school, she worked part time as an ESL instructor for Japanese-speaking students, having taken three years of the language as an undergraduate. Her clinical interests include obstetrics, family planning, contraception, breastfeeding, vulvar disease, and outpatient gynecology. Dr. Cashman has recently lectured on topics such as adolescent contraception, reproductive coercion, and abnormal uterine bleeding. She has authored chapters on chlamydia, ovarian torsion, and yeast infection. Next year she will practice in a community hospital residency program where she will teach residents and perform full-spectrum family medicine, including inpatient and obstetrical care. Benjamin F. Crabtree, Ph.D., is a medical anthropologist and professor and Director of Research at the Department of Family Medicine and Community Health, UMDNJ-Robert Wood Johnson Medical School, and serves as Project Consultant in the SMARTER Family Medicine Project. 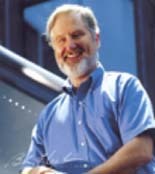 A primary care researcher in family medicine for over 25 years, Dr. Crabtree has contributed to more than 200 articles and chapters on both qualitative and quantitative methods, covering topics ranging from time series analysis and log-linear models to in-depth interviews, case study research, and qualitative analysis strategies. Dr. Crabtree has been the lead investigator on multiple large National Institutes of Health (NIH) funded grants that use mixed methods to describe and test organizational change strategies for enhancing quality of care in primary care practices. 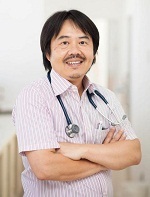 Having served as one of the founding Associate Editors for the Annals of Family Medicine, he writes extensively in the area of qualitative research methods, and is currently serving as Guest Editor for a special theme issue on mixed methods research for the widely respected journal, Health Services Research. 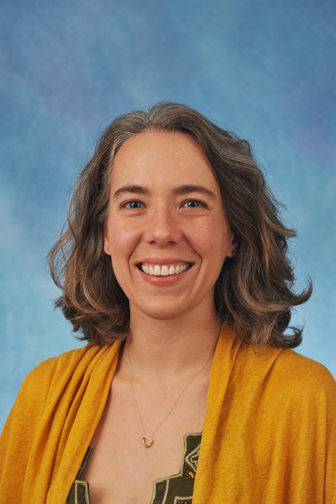 Christine Kistler, M.D., is an assistant professor in the Department of Family Medicine at the University of North Carolina at Chapel Hill. She speaks fluent Japanese and completed her residency training at the University of Michigan Department of Family Medicine. 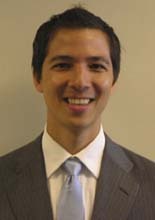 Alan R. Teo, M.D., is an Assistant Professor in the Department of Psychiatry at Oregon Health and Science University and a staff psychiatrist at the Portland VA Medical Center. His current primary research focus is on the role of social relationships in influencing mental health outcomes. He is interested in how social support and social ties—with peers, family, and others—can buffer against mental illness, and conversely how social isolation may be both a risk factor and negative outcome of mental illness. In the area of social isolation, his work has focused on a syndrome of social withdrawal in Japan called hikikomori. He has published over a dozen peer reviewed medical articles. A fluent Japanese speaker, Dr. Teo serves on the board of directors of VIA, a 50-year-old nonprofit organization devoted to cross-cultural educational programs bridging Asia and the United States. He is currently a Robert Wood Johnson Foundation Clinical Scholar at University of Michigan, completing a master's degree in health care research and conducting several studies in the area of sociocultural determinants of mental health. 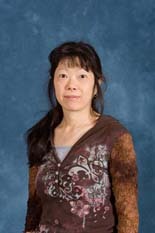 Satoko Motohara, M.A., is a clinical research coordinator at the Department of Family Medicine at the University of Michigan. She serves as a project coordinator for the SMARTER Project, providing coordination of exchange visitors, translation and other administrative tasks. With a background in sociology of gender and medicine, she has worked on multiple research projects related to cross-cultural medicine, healthcare and gender in the US. 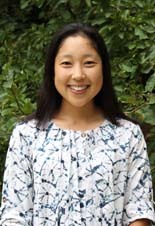 Ayaka Yajima, B.S.N., is a registered nurse and currently works as a clinical research coordinator at the Department of Family Medicine at the University of Michigan and serves as a project coordinator for the SMARTER Project. She moved from Japan to the US with her family during childhood and continued to receive Japanese education every Saturday throughout her pre-collegiate education. She graduated from Grand Valley State University with a nursing degree and started working at the University of Michigan in June 2012. She currently coordinates SFM resident visitors and translates for Japanese related studies and projects. 1989-1998 − Clinical practice with a focus on digestive system and basic research in molecular life sciences at Kobe University School of Medicine Second Department of Internal Medicine and affiliated hospitals. 1998-2002 − San Diego (United States), Scrips Research Institute; Research in molecular life sciences such as integrin. Program Goals/Aspirations: Since becoming a physician, I’ve been through some twists and turns in life. Behind them, I was always wondering, “Am I being the best physician I can be?” The road I’ve traveled in life has involved trying to somehow shake off some of those fears, and now some twenty years later, through my various experiences, and my encounter with family medicine, I think I’ve become a better doctor. It’s my hope to pass on some of what I’ve learned to Japan’s young people, who may be a little uneasy about the road ahead themselves. Program Goals/Aspirations: To integrate the kind of Family Medicine I experienced in the United States into Japanese culture, and furthermore make it into something desired in Japan. Personally, I think it’s important not to forget the reflective nature of teaching, and to contribute to the maintenance of an educational environment for our residents. Once our residents have completed this program, I’d like them not only to have the clinical competency needed for family medicine, but also to be able to say "I've grown as a person; in more ways than one." We’re working diligently to ensure that the SFM program accomplishes these goals. Program Goals/Aspirations: I think that in Japan, the number of clinics like the Shizuoka Family Medicine Training Program that takes in patients with a wide range of problems is still small. My hope is that there will be more family doctors that can handle "Women's Health," and that I can be of help to everyone in the community in promoting their health. Program Goals/Aspirations: In order to cultivate world-standard family physicians in Shizuoka, I hope to continue on collaborating with this program from the position of hospital physician. As I dream of seeing family physicians fostered in this program go on to do great work throughout Japan in the near future, I will continue to do my best in working to support this program. After work with Hamamatsu Public Hospital, Fukuroi Municipal Hospital, Matsuda Hospital, NTT Izu Posts and Telecommunications Hospital, and the National Treatment Center at Tenryuu Hospital, began work at Morimachi Hospital in 1997. Program Goals/Aspirations: Mori hospital aims to provide comprehensive medical care to the people of our region. Responding to the needs of our community is precisely the role I believe modern medicine should play. As Mori is a city with such strong regional ties, through local activities (such as the SFM Program) I would like starting talking with the young people who will lead the next generation about what exactly proper medical care should be. Program Goals/Aspirations: It is my intension to participate in social experiments related to Japan's physician education and health care systems. Program Goals/Aspirations: To study family medicine, and contribute to the health care of the people in my region. Program Goals/Aspirations: As family physicians currently engaged in the dissemination of research results, I hope to support you all. Program Goals/Aspirations: I'm involved in education of geriatric fellowship at Shizuoka Family Medicine Training Program. I hope to share the appeal of family medicine that treat a wide range of patients from children to older adults, tackling their health problems as their partners, and to teach the approach that is specific to older adults. Education (教育 kyoiku) is to learn together ("共育 kyoiku") – it is my hope to learn together with the residents and fellows. Program Goals/Aspirations: My goal is to acquire the clinical competency needed to be a family physician and be able to contribute to the health and happiness of as many people as possible. In three years I hope to become a physician who can meet the needs of the community. Program Goals/Aspirations: I’m hoping to become a family physician who can treat a wide variety of patients, from newborns to the elderly. Program Goals/Aspirations: Just as I was thinking that I want to become the kind of doctor that works more closely with patients to prevent illnesses, I learned of the existence of family medicine while I was studying abroad in the United States, and I decided that I wanted to become a family practitioner. I will do my best so that I can give peace of mind to as many people as possible in the community. Program Goals/Aspirations: In order to become a family physician with the necessary attitudes and abilities, I hope to do my best in giving full cooperation in this program. Program Goals/Aspirations: I want to be a doctor strong in obstetrics and pediatrics, who can further provide the medical care that's needed in my community. Program Goals/Aspirations: I've come to the SFM Program in hopes of better providing needed medical care through communication. Specifically I want to learn to provide care for well-known and common illnesses using a comprehensive approach in a group practice setting. I'll do my best to keep up with the energy of Shizuoka! Program Goals/Aspirations: As Numazu, Shizuoka is my hometown, I'm so happy that I'm going to be a part of my community's medical care. I'm ready to give it my all in this program. Program Goals/Aspirations: in order to become an expert in common problems I’m ready to put my best foot forward in everything. I’m looking forward to working with everyone to create a fantastic program! Program Goals/Aspirations: I aspired to become a family doctor after a short-term study abroad experience as a student. My work experience at an emergency hospital really made me realize how much family physicians are needed in Japan. As a new field, I feel like there's so much I can contribute to society, and I want to work hard to do just that. Program Goals/Aspirations: Since I was a student I've held an interest in family medicine, and now thanks to this program I'm finally able to fulfill my dream. There's so much I want to learn, and someday, I'd love to be in the position of being able to teach someone family medicine. Program Goals/Aspirations: to devote myself daily in order to provide good medical care for the people in my region. I want to be a physician that can share the moment with others during life’s good times and its bad. Program Goals/Aspirations: When I was a student I once went to go see the U.S. Naval Hospital Yokosuka, and I remember being very impressed at seeing the family physicians doing their jobs with such energy and enthusiasm. I want to go through this training program which thoroughly covers the fields of gynecology and pediatrics, and devote myself to becoming a physician who can be a strong ally to women for the rest of my life. Hobbies/interests: Reading, watching live performances (I like everything from kabuki to jazz).